It’s without a doubt, one of the greatest golf week’s of the year: Masters’ week. 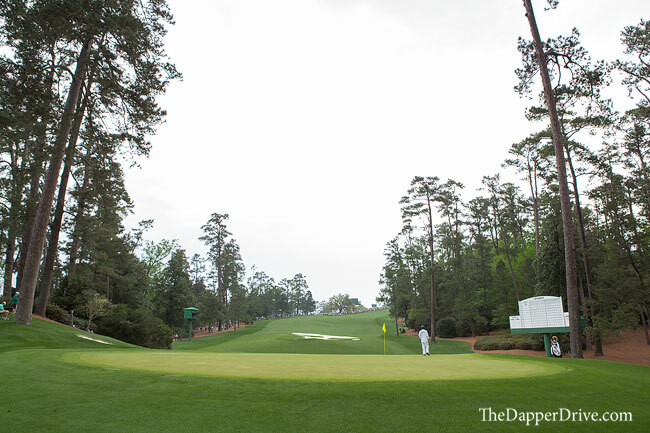 For many, the various and vibrant shades of green at Augusta National signify the official start of the golf season. 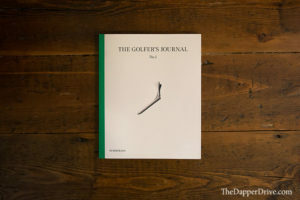 Snow ridden states begin to thaw (we hope), golf clubs emerge from months of hibernation, and office productivity plunges as live-streaming Masters’ coverage overtakes every golf-lover’s desktop. While watching The Masters on TV is incredible, attending in person is an absolute dream come true. If you’re fortunate enough to find yourself holding a Masters’ badge, congrats! Now it’s time to figure out what to wear. Any rules for Masters’ attire? 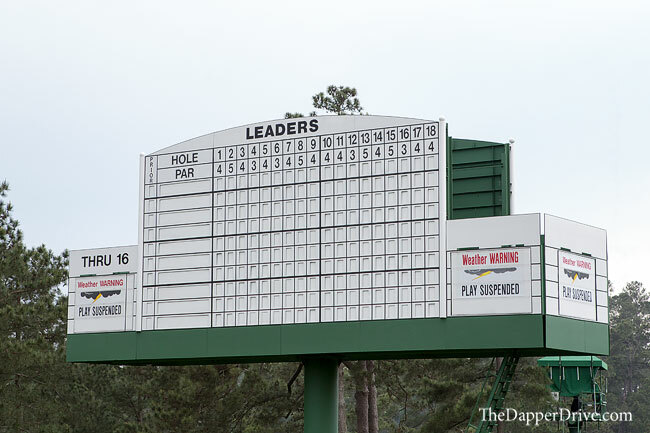 As you’ll soon find out, patrons will be rocking just about everything at Augusta National. From t-shirts to button downs, golf apparel to Sunday’s best. Pastels will be out in full force, plenty of ladies will reach for their sundresses and floppy hats, and don’t be surprised to see a bow-tie or two. 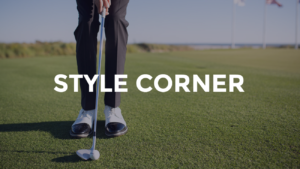 Though the rules are pretty open ended, we offer some thoughts on how to look and feel your best while walking the hallowed grounds at Augusta. 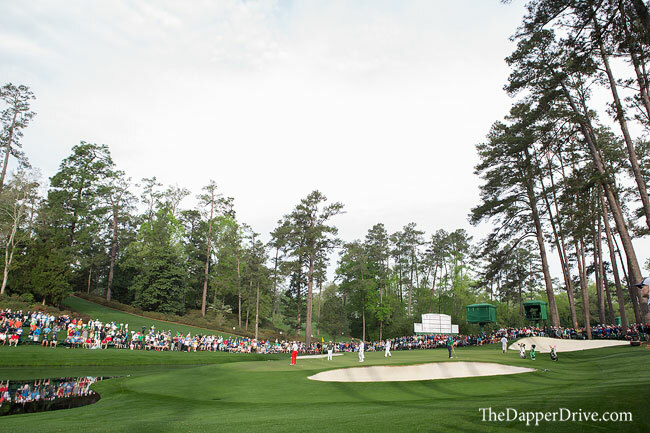 And if you’re wandering where the best spots to watch the action will be, be sure to check out our 10 best spectator spots at Augusta. Yes, your golf shoes. Hear me out here. You’ve inevitably been told a million times by broadcasters how “your TV just doesn’t do the elevation change at Augusta National justice.” As cliche as it is to say, it’s true. If you want to get the most out of the experience, prepare for lots of walking up and down the many hills. First timer? You absolutely must walk the entire course. 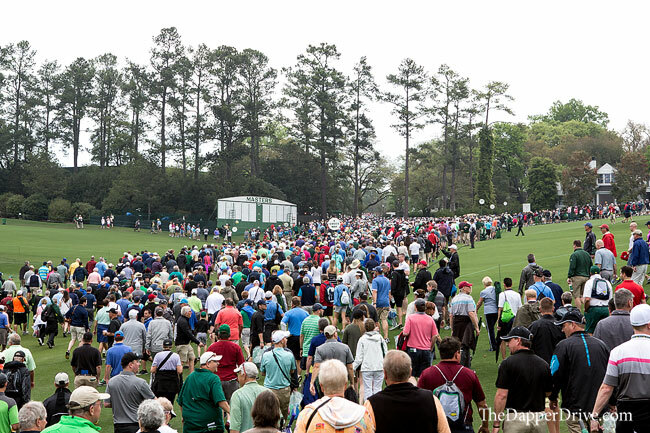 Even if you’ve got your sights set on posting up at Amen Corner or the grandstands by 15 green and 16 tee, you’re going to have to hoof it from the main entrance, all the way to the far end of the property. The hills are no joke! So why golf shoes? Well, golf companies have come a long way in developing ultra-comfortable shoes, primed for lots of walking. Beyond the comfort factor, it’s important to throw on a shoe that’s waterproof and has some serious traction. Wet feet from morning dew or a mid-day shower are sure to dampen your experience. And if it’s a rainy week, the heavily walked areas tend to get quite muddy and hills very slick. Leave the sneakers or loafers at home and snag a pair of Disruptors, True’s, Innovators, Air Max 1G or any other comfy spike-less golf shoe for the hike. You’ll appreciate the added traction when scaling Augusta’s hills. April in Augusta could mean warm and sunny skies, or brisk wind and rain — and many times, a little bit of both. Chilly mornings are common, though the sun often warms things up for the afternoon. Still, sitting in bleachers can leave you cooler than you’d expect. The best way to prepare for a variety of temperatures throughout the day is by layering-up. Mid-layers and vests are perfect for cutting an early morning chill, while knits or performance sweaters should be utilized for colder forecasted temps. A chance of rain? Don’t be hero. Grab your waterproof rain jacket and throw it around your shoulders, just incase. You’ll be thankful if the skies open up. There are a few accessories you won’t want to leave without. First, grab your favorite hat. Save the Masters’ hat (you’ll inevitably purchase) for impressing your hometown friends, and instead go with a hat that’ll set you apart from the sea of green stomping around — maybe one from your home club (logos tend to lead to great conversations) or any one of these stylish options. The hat will save you from the sun (sunscreen is a smart move, too), while also bringing your head-to-toe look to life. Second, an all-day affair outdoors calls for a little eye protection. Even on seemingly overcast days, bring along a pair of sunglass and avoid that day-long squinting. Aviators, wayfarers, club masters … the style choice is yours, but we’re loving Electic Golf’s Nashville XL shades. Lastly, a watch! It’s rare these days to need a timepiece, but Augusta’s cellphone ban means you’ll be reliant on this age old method to keep track of time. 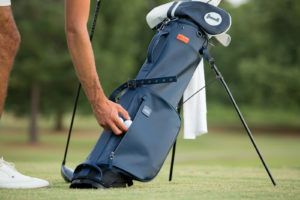 It’ll come in great use for splitting-up and reuniting with your group at a later time, as well as getting a sense for where certain groups are on the course (Augusta provides tee sheets with player tee times that day at each gate entrance). Plus, you can break out that vintage piece your grandfather passed on, or your new Apple watch that’s now demanding all your attention. If you’re a diehard, a set of binoculars will come in handy for spectating. And if you’re attending for any of the practice rounds, bring your camera in tow! Though banned on tournament days, pictures are permitted Monday thru Wednesday. Golf shoes? Really? Hard “no” from me but to each his own. I’ll take a pair of comfortable running shoes all day. I’m making the recommendation on the premise that spikeless golf shoes are easily as comfortable as sneakers … after all, the Nike Air Max 1G is a sneaker. But, you get added traction. I’ve been lucky enough to attend the masters a handful of times, and every year I saw multiple people eat it walking down hills. Just sayin’! But I agree with you, to each his own. Ahhh, this is the first day of retirement that I actually have had the time to read your post. Well done, son! I intend to continue enjoying your posts in the days ahead.